The High Holidays are quickly approaching and we have made a seating chart for your convenience. 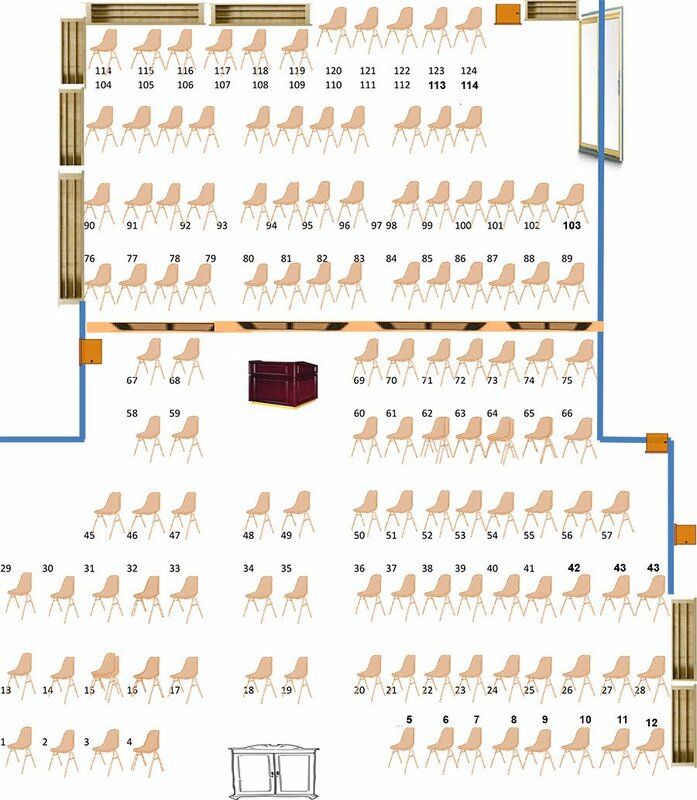 Though you do not have to purchase a seat for the holidays to participate, the option to reserve seats is available to you so that you will not have to worry about finding a place to sit during services. Each seat is $50 for the duration of the High Holidays and we will place your name tag on your reserved seat so that it will be there for you during services. We look forward to praying with you and your family for a happy, healthy and sweet New Year! Please note: If the seat is not showing on the list below it has been reserved.